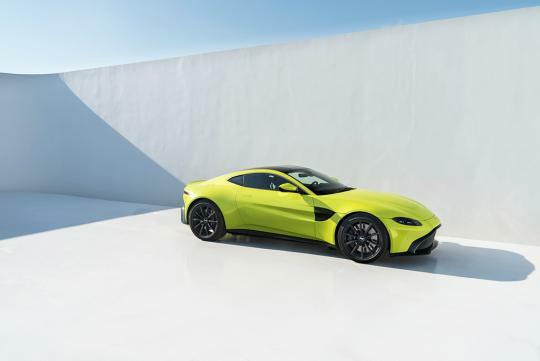 The British sports car maker has announced that it is close to selling out the entire first year of its new Vantage's production. As reported by Bloomberg, the company’s CEO Andy Palmer, announced that 80 percent of its private customers bought the car when it was shown to them. “Most of our production for next year is already sold out,” Palmer said. He declined to specify production volumes though. The new Vantage is part of Aston Martin's effort to match up with brands like Porsche and Ferrari. “What we’ve tried to do with Vantage is make it aspirationally younger, cooler, better,” Palmer explained. With the help of the DB11, sales of Aston Martins have increased by 65 percent over the first nine months of 2017. "Effort to match up" to Porsche and Ferrari means AM is not there yet.